Bright & Spacious Three Bedroom Detached Family Home. Welcoming Reception Hall With Fresh Neutral Decor Throughout. Modern Fitted Kitchen & Separate Dining Room. Front And Rear Gardens With Driveway & Garage. 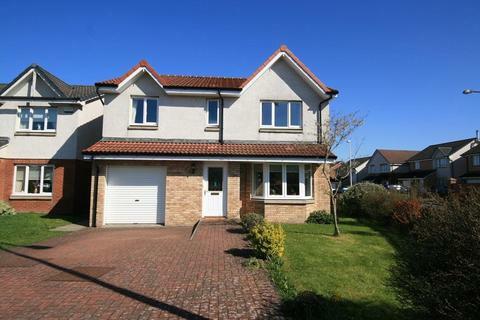 Newman Properties are delighted to offer to the market this excellent three bedroom detached villa with single garage in a sought after location in Armadale. This generous family accommodation comprises of reception hall, cloakroom, lounge, dining room, kitchen, upper hallway, three double bedrooms (master en-suite) and family bathroom. The property benefits from gas central heating and double-glazing. Externally there are gardens to front and rear with a double driveway leading to the garage. Front garden is laid to lawn with a tarmac driveway and rear garden is fully enclosed with a decked patio area and also laid to lawn. Public transport to nearby Bathgate is good with regular bus services and also rail service to Edinburgh, there is a service every half an hour with the journey into Edinburgh Waverley taking approximately thirty minutes. 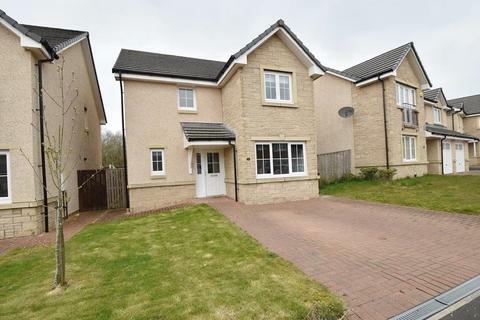 Easy access from this area to the M8 Edinburgh to Glasgow motorway and also surrounding area of Livingston. Strictly by appointment through either NEWMAN PROPERTIES on [use Contact Agent Button] or Ann Newman the Estate Agent, On [use Contact Agent Button]. To arrange your FREE MARKET VALUATION, simply call Newman Properties on [use Contact Agent Button] TODAY. Enter via wood door, laminate flooring, radiator and power points. Access to Lounge, Kitchen, Dining room and WC. Carpeted staircase to upper hallway. Two piece white suite comprising WC and wash hand basin. Radiator, tiled splashback, Vinyl flooring and window to side. This bright modern lounge is located to the rear of the property and is accessed via part glazed doorway from the hallway. Radiator, TV point, power points and laminate flooring. The kitchen is fitted with base and wall units and contrasting worktops, integrated gas hob, electric oven & extractor fan. Integrated dishwasher, fridge freezer and washing machine. stainless steel sink & drainer, radiator, down lights and power points. Window & door to the rear of the property, flooring is vinyl. Window to side, radiator, power points, access to the loft and carpeted flooring. There is a cupboard housing the boiler. Master Bedroom 13’8 x 9’1 (4.17m x 2.76m)The en suite master bedroom overlooks the front of the property and has a fitted wardrobe with shelving and hanging rail. Radiator, power points and fitted carpet. Three piece white suite comprising of corner shower enclosure with wet wall and power shower, wash hand basin and WC, extractor fan, window to front of the property, radiator and non-slip vinyl flooring. Double bedroom with window to rear of the property, radiator, power points and fitted carpet. This third double bedroom overlooks the rear garden, radiator, power points, telephone point and fitted carpet. Three piece white suite comprising of bath with over bath power shower, wash hand basin and WC. Part tiled walls, radiator and extractor fan. Opaque window to the side of the property and flooring is vinyl. Property reference UV0soQoK-Jk. The information displayed about this property comprises a property advertisement. OnTheMarket.com makes no warranty as to the accuracy or completeness of the advertisement or any linked or associated information, and OnTheMarket.com has no control over the content. This property advertisement does not constitute property particulars. The information is provided and maintained by Newman Properties - Bathgate. Please contact the selling agent directly to obtain any information which may be available under the terms of The Energy Performance of Buildings (Certificates and Inspections) (England and Wales) Regulations 2007 or the Home Report if in relation to a residential property in Scotland. This spacious family home offers excellent living accommodation, four double bedrooms, all with fitted wardrobes, an integral garage with direct access from the breakfasting kitchen, and an extensive driveway for several cars.